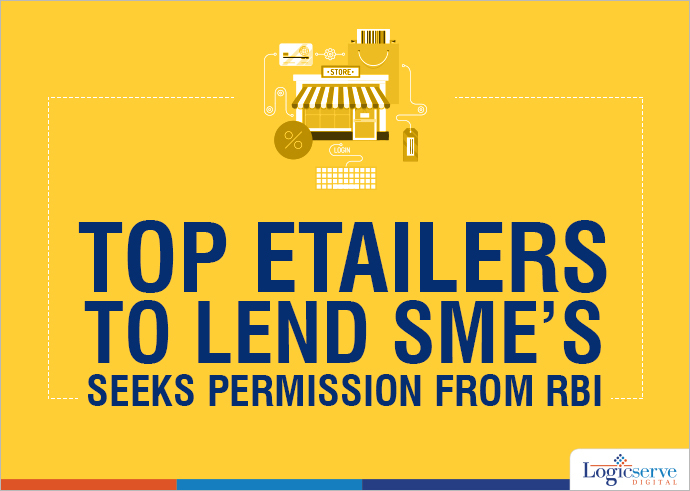 Top ecommerce companies in India seek Reserve Bank of India’s (RBI) approval to offer loans to the Small and Medium Enterprises (SME) listed on their online platforms. One of the RBI senior officials said that the suggestions made by the etailers were forwarded to the head office. As the ecommerce companies come under FDI (Foreign Direct Investment) category, they are not allowed to extend the credit. The holding patterns of the ecommerce companies are still unclear according to the officials and thus pose a main issue. Presently, Indian firms like Snapdeal offer credit to the merchants listed on their platforms to meet the WC (Working Capital) requirements and plans to lend around Rs. 1000 Crore by 2016 under ‘Capital Assist’, its seller financing programme. Kunal Bahl, Snapdeal’s Co-founder and CEO said that the company has zero non-performing assets, which proves that SMEs wish to grow and perform in the ecommerce platform. On the other hand, Amazon Inc offers small sellers in Japan and US under its business loan programme and further plans to offer WC loans to other eight countries that include India as well.